Last year a bunch of high profile players in the online ad world got together to "improve" online advertising. It's hard to think of anything that wouldn't improve online advertising, but let's leave that for another day. What they came up with was called the "Coalition for Better Ads" (CBA) and it was lead by Google, Facebook, P&G, and all the usual suspects. The true objective of the CBA was to halt the alarming growth of ad blockers, reportedly increasing at 30% annually. People are getting mighty cranky at the horrifying abuse they are suffering from online advertisers and are opting out by installing ad blockers. A few months later Google decided it would take matters into its own hands and create its own partial ad blocker for its Chrome browser, which is used by 59% of the world's internet users. This partial ad blocker would block only the most "annoying" type of ads, as determined by Google. Many believed that if left to its own discretion Google would decide that the ads it was placing weren't nearly as "annoying" as its rivals' placements. This week Google launched its partial ad blocker and as you'd expect, they didn't have the maturity or integrity to do it right. In fact, the whole enterprise can be interpreted as an attempt by Google to grab more ad dollars and protect its pals in the CBA. “This looks like an effort by Google to use its strong market position in browsers in order to prevent users from adopting third-party apps that block ads Google wants to make money from,” said a Silicon Valley anti-trust lawyer. Last year, the CBA presented some research that it said was done by "the Coalition" to determine what kind of ads should be blocked. But Ad Age reported this week that the research supposedly conducted by the CBA was actually conducted by Google. According to Ad Age, the CBA misrepresented the research. When they presented the material the CBA removed Google's name and the name of 18 Google employees from the material and lied by describing it as "the Coalition's research." Google's integrity is so compromised in this endeavor that it is asking for big trouble. They are blocking auto-play video ads with sound except from their CBA partner Facebook. They are blocking pop-ups except from their CBA partner Bounce Exchange. Perhaps most egregious is that one of the web's most despised ad formats, video pre-roll, is not being blocked at all. Pre-roll is one of YouTube's most important assets. And guess who owns YouTube? In BadMen, I wrote, "what we have here is Dracula guarding the blood bank. Some people, including yours truly, think that this could lead to legal troubles for Google." Along these lines, The Wall Street Journal wrote this week..."Google’s ad blocking effort is unfolding as the U.S. and European government officials have raised concern about the growing economic power of tech giants. Margrethe Vestager, the European Union’s competition chief, last year said she would follow the Chrome ad blocker’s effects closely." This whole thing stinks. Once again the online ad industry has shown itself to be fraught with liars and con men. Google is asking for trouble. I believe they're going to get it. Grandstanding at the IAB annual conference has become performance art for marketing aristocrats. It's a wonderful opportunity to enhance your social consciousness credentials while not actually doing a damn thing. The IAB's two most vocal critics of online advertising are also its two most active supporters. Procter & Gamble's chief brand officer Marc Pritchard issued a scathing rebuke of online advertising at last year's IAB conference. This year, his role was played by Keith Weed, the head of marketing for Unilever, who called the online advertising ecosystem a "swamp." 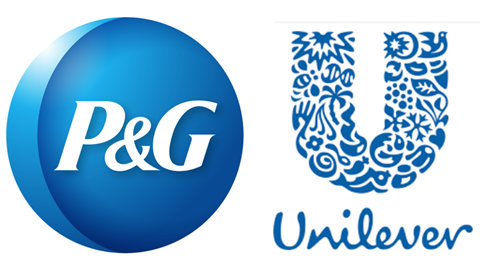 To the best of my meager mathematical abilities I have calculated that between the two of them, P&G and Unilever probably contribute about $4 billion annually to keep the swamp nicely stocked with alligators. As far as I can tell, Weed hasn't done a thing about the “...fake news, racism, sexism, terrorists spreading messages of hate, toxic content directed at children..." that he railed against. All he did was shoot his mouth off and issue empty threats while continuing to bestow billions on the people profiting from the "fake news, racism, sexism, terrorists..."
For his part, Pritchard has gone soft on the problem. According to AdAge, Pritchard has "little reason to make good" on his threats of last year. More about this on my blog later this week. Last week, a court in Berlin ruled that in a number of instances Facebook's default settings did not allow sufficient clarity to constitute "informed consent." In what could be the first significant shot in a major war between European regulators and tech giants over consumer privacy issues, they ruled that some of Facebook's data usage and data gathering techniques were illegal under consumer privacy laws. This could get interesting. 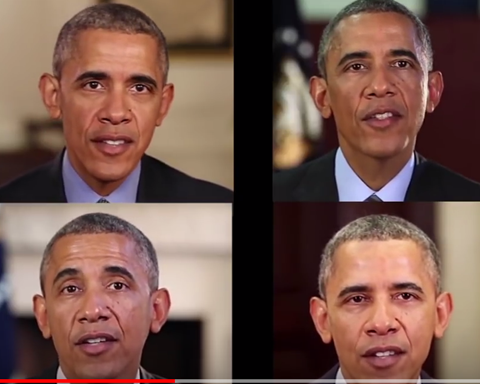 For a frightening look at how artificial intelligence will make fake news indistinguishable from the real thing, have a peak at how scientists at the University of Washington created a speech that Barack Obama never gave. When you understand that AI is still in its infancy you realize what a potential danger it poses to society. And speaking of dangers to society , if the indictment of 13 Russian operatives and the details of their activities can't convince the marketing industry that a radical re-thinking of online advertising is necessary, nothing ever will. Not even the ongoing semi-coherent screeching of bloggers. When I published BadMen in September, I had no idea it was this bad.